Final Cut: Death on the Silver Screen is rated 4.6 out of 5 by 124. Rated 5 out of 5 by dlylight from Great game Great game! It was a long one and enjoyed every minute. I got lost in the mansion several times and forgot where I was, but really neat. The hints help get on track as well as the story line in the journal. Love this game! Hope there will be a sequel. Rated 5 out of 5 by canadiangirl94 from Wonderful! Excellent game. It's a bit of a darker game, but not in terms of characters. 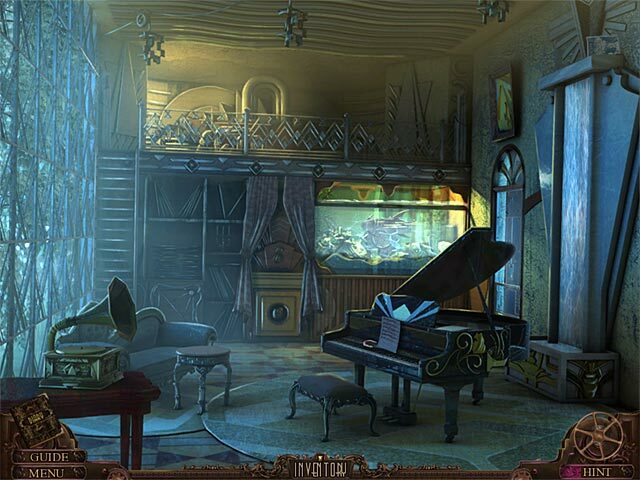 The music and settings are, however they are not of the scary kind rather the mysterious kind. HO scenes are fairly easy, only had to use the hint a couple times. Minigames are definitely more difficult compared to HO, but most were pretty easy as well once you understood what to do. Neat having the different parts of your journal including your fathers notes from 20 years ago to give you more of a complete picture of what he was like, as a father and as a world famous movie director. Neat having a map, but disliked being unable to jump to places, would have been easier than going from one side of the mansion to the other and then back to the original side. The 50's themed setting was neat and was a bit of a change from the fantasy world setting a lot of games have. Excellent game and definitely a must buy. Rated 5 out of 5 by cejene from A Great Game! Game is very well done ! Excellent graphics. Done in Art Deco style which I love. Great story with twists and turns. Fairy long game. Will be one of my favourites. Great HOG. Rated 5 out of 5 by 1Fishy from Silver Delight This was a very excellent game. Epix games created a wonderful world for us to get lost in. The screen shots were rich and the music added to the ambiance. When they recommend playing with the sound on, it is for very good reason. The flow of the game smooth. There was a wide variety of mini games to play. They did not require cheats or hints to be able to complete them. Some took a bit of thinking, but that was a natural flow from a game well developed. The HOG were good, but I found the colors muted in such a way that it made it difficult to see some of the objects. Perhaps my screen is too small as I play on a laptop, but I note other have suffered the same fate. 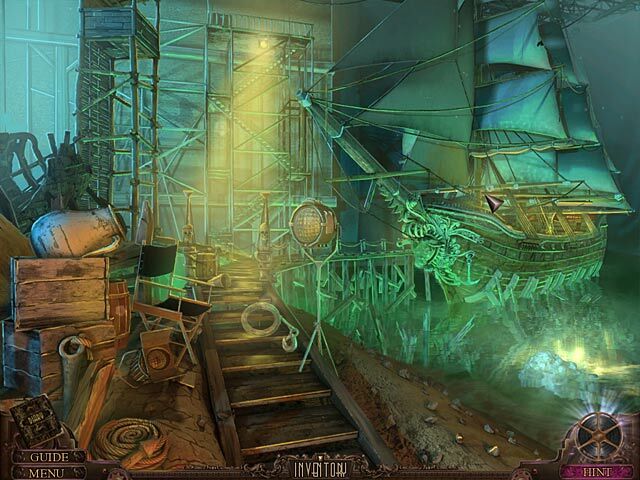 It was not a gory, demonic game like many of these adventure games are. This was a refreshing change. I look forward to the next chapter in this adventure! Rated 5 out of 5 by crimsoncrab from Outstanding! I rarely rave about anything in online reviews since most people do that anyway which doesn't really give one a good idea about the real benefit of something but this game... WOW! The graphics, storyline, narrative, and flow are superb. 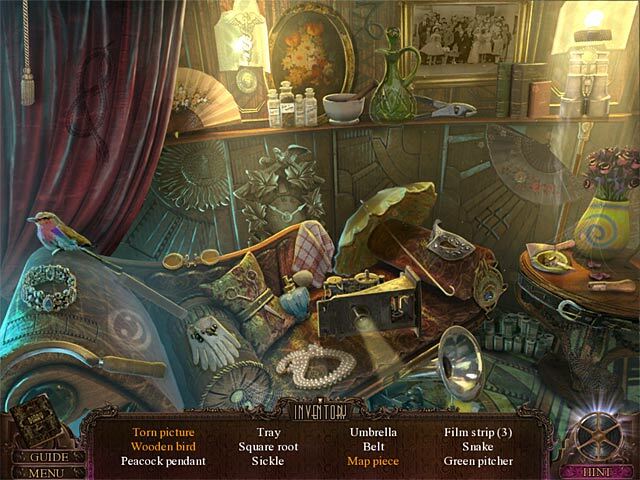 I generally don't play Hidden Object games, but this one was exceptional since the objects weren't overly cluttered, obtuse, obscured, and overused. The puzzles were challenging (admittedly I had to get help to solve one of them) but in general readily solvable. Hint: frequently reference the map (room/grounds layout) during your exploration. The map is part of the your diary. Rated 5 out of 5 by benurks from Terrific graphics The art in this series is true Art Deco and that theme is shown throughout. The cars, rooms, cursors, etc. are all true to Art Deco and add tremendously to the fun of playing the game. The story is very good, and the switching scenes with the projector is fun. 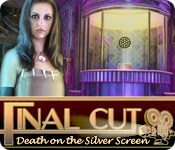 Rated 5 out of 5 by MAG57 from Final Cut: Death on the Silver Screen This is a game that is very well done. It held my interest all the way through. The hint button is useful and there is a skip button for the mini games. I wish I had bought the collectors edition just for the little bit of extra game play. Luckily there is a sequel to this game. I have played many games, this is one I will play more than once. Well done. Rated 5 out of 5 by cybersauced from DEATH ON THE SILVER SCREEN- ALIVE WITH FUN This game was absolutely fun all the way through. I don't count my hours on a game, but this was no quickie. The different movie sets kept you interested. More puzzles than HOS. Some were hard, most I could figure out with some time. I liked the map, it let you know areas that needed attention, but didn't let you jump to that area (which I rather like). Colors were bright. No dark and gloomy scenes. I liked it. And have already bought The Encore. Rated 5 out of 5 by nwind from Unusually interesting! The story in this one was quite compelling (I shall anxiously await the sequel) and there was lots to do. Many, many minigames, HOS, and other, non-critical, objects to find. I am still missing a card, so watch closely! There were many beautifully done scenes to explore as the story developed. Pure fun! Enjoy! Rated 5 out of 5 by jrwells from An amazingly fun game This is one of the better games my wife and I have played recently. The story line was intriguing, and being able to visit the different movie sets was fun. The graphics were nice and crisp, and the cut away scenes were done nice as well. We played in expert mode, and never had to use hints. Well done HOS, and the mini-games range from easy to difficult. Look forward to playing more games from this company.